People of all ages are being invited to get creative and take part in a series of art workshops throughout Lichfield city centre on Saturday 22 October. The three drop-in workshops will be taking place between 10am and 4pm as part of the world's biggest drawing festival, The Big Draw, with everyone regardless of ability invited to have a go. 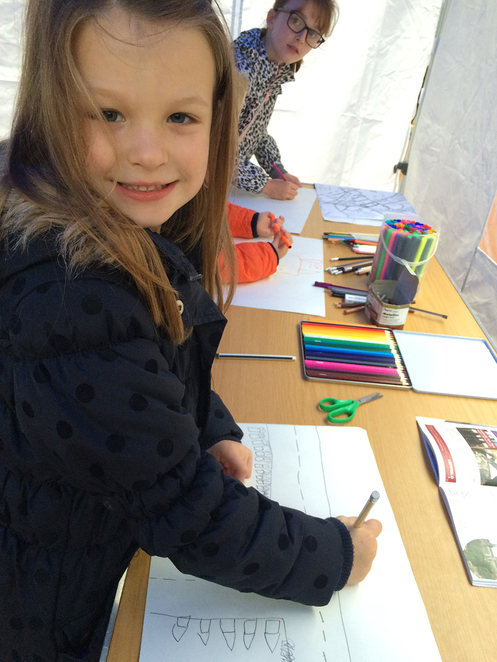 The Big Draw involves thousands of people taking part in enjoyable, and mainly free, drawing activities which connect people of all ages with museums, outdoor spaces, artists, designers, illustrators, and also each other. This year's theme is 'STEAM Powered', which stands for Science, Technology, Engineering, Art and Mathematics. It will see children and adults making artwork that fuses creative innovation, enterprise, digital technologies and the arts. The art workshops in Lichfield will see two artists leading free art activities within the historic city's Three Spires Shopping Centre, with another being stationed at Speakers' Corner on Dam Street, near to Lichfield Cathedral. As part of the project, which is being led by Lichfield District Council with support from Three Spires Shopping Centre and Speakers' Corner Lichfield, professional artists will also be running art activities at primary schools and special schools across the district throughout October. Councillor Helen Fisher, Lichfield District Council Cabinet Member for Tourism & Communications, said: "The Big Draw is a fantastic way to get the country drawing. This year's theme is really interesting as it's all about how essential art and the creative process is to industries across the world. The activities in Lichfield offer locals and visitors alike the chance to try different art techniques for free and will encourage even more people to come to our city centre." Further information about The Big Draw events during 2016 can be found by looking online.